BASED in Chattanooga, Kristina Maurer Montague is a woman using her human and financial capital to use capital to ignite more women-led ventures in the southeastern U.S. and beyond. Her firm's website describes its commitment to establishing "the southeast as the nation's best place for a woman to invest in or grow a business." Montague is not pursuing such an enormous objective on her own: She is the managing partner of Jump Fund Management Group LLC in Chattanooga, which took its first steps in 2013, initially backed by seven women. Her Jump Fund partners include: Cory Allison, Betsy Brown, Shelley Prevost, Tiffanie Robinson, Stefanie Crowe, and Kim Seals. Despite progress to date, JumpFund has its work cut out for it: Only 6% of early-stage investment in the Southeast is made in companies with gender-diverse leadership teams, according to data cited on the Jump Fund page. Related commentary here. 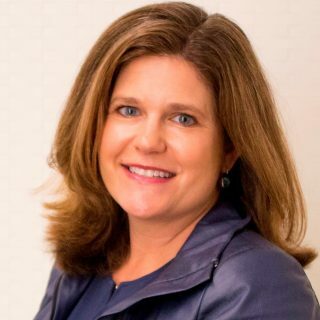 Still, Montague told Venture Nashville that during her five years spent establishing Jump Fund, she is certain she has seen more women becoming involved in deals, more women-led startups and more women participating in national organizations for Angel investors and others. The recent closure of $5.2MM JumpFund II LP brings the group's total capital raised to $7.7MM. Its initial raise brought $2.5MM. Cumulatively, about 80 investors have enlisted since Jump Fund's inception -- mostly women, plus as the organization sometimes says, "a few good men." According to Crunchbase and VNC research, Jump Fund has invested in 22 startups since inception, and 17 of those remain in its active portfolio. Acivilate - Atlanta - CEO Louise Wasilewski - SaaS entry offering Pokket, an app plus interventions to help mitigate recidivism among people previously incarcerated, by connecting them with justice agencies and service providers. Bark - Atlanta - Chief Parent Officer Titiana Jordan - Platform to help families and schools detect student digital engagement -- including potential cyberbullying -- that may signal need for parent-child interaction. Dev|Con - Memphis - Maggie Louie -Ad fraud protection tools for media groups, publishers, ad agencies. Utilize Health - Nashville - CEO Jessica Harthcock - Digital tools and concierge services to help patients with complex care requirements discover treatment options and facilities. Several follow-on investments in existing portfolio companies have also been made in the past year from Fund II, said Montague. feetz - San Diego - CEO Lucy Beard - VTC coverage here. MomSource Network - Knoxville - President Courtney Jones - VTC coverage here. Stony Creek Colors - Goodlettsville - CEO Sarah Bellos - VNC coverage here. SuperfanU - Louisville - Co-founder Kayla Mount - VTC coverage here. One former JumpFund holding, Atlanta-based Partpic, was acquired in 2016 by Amazon. VNC research indicates that three other Jump Fund portfolio companies have in the past couple years ceased operations: Torch, eDivv and Zoomthru. VNC has not been unable to determine with certainty the status of two other companies: Rezli (Chattanooga) and Rooibee Red Tea (Louisville). This story will be updated, as warranted. Montague moved to Chattanooga 23 years ago, and is a native of Seattle, she confirmed. She and her husband, Tom Montague, reside in Chattanooga. In addition to Jump Fund, she is active in Golden Seeds, the women's national Angel investment network, and in the Next Wave Impact project and Rising Tide Network, a global initiative to educate women about angel investing as an asset class. She is also a member of the board of directors of Launch Tennessee (aka Tennessee Technology Development Corporation, or TTDC). Notably, LaunchTN has taken steps to contribute to increased diversity among entrepreneurs and investors, and now administers a Social-Impact fund. Related coverage here. Also, during LaunchTN's forthcoming 36|86 Entrepreneurship Festival, Jump Fund will operate a Women's Lounge for attendees. Lounge sponsors include Chambliss Law, HHM, Pathway Lending WBC, and WeWork. Montague earned her bachelor's at Vassar College in 1991 and her master's in public policy, with an education focus, at the University of Washington, in 1995. Her LinkedIn profile is here. Jump Fund's outside advisors include attorneys with Chambliss Bahner Stophel in Chattanooga, and accountants with HHM, Henderson Hutcherson & McCullough. Its banking is with Pinnacle.